From time to time we love to treat ourselves with some (or actually lots of) delicious treats. And what is more perfect way to treat yourself than with a high tea? 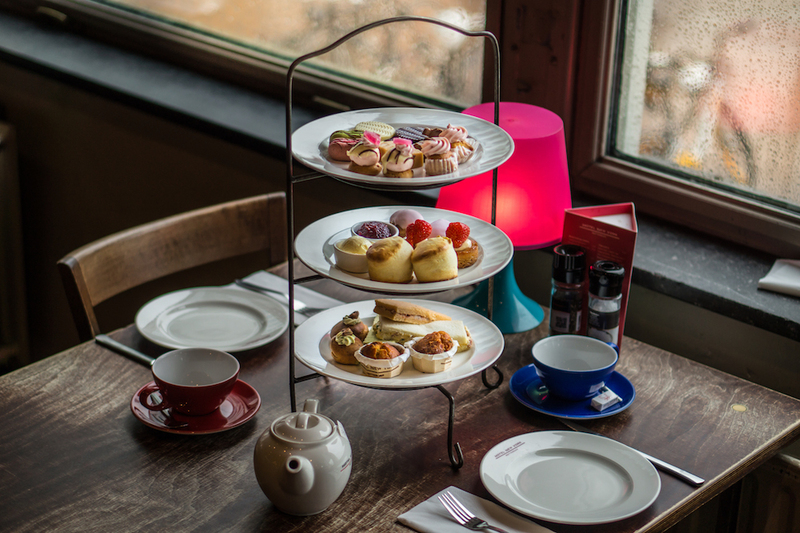 Luckily you can find plenty of hotspots in Rotterdam that offer a fantastic high tea. Therefore, we present to you the 10 best places for a high tea in Rotterdam filled with scones, cakes, chocolate, and more scones! Also, don’t forget to make reservations, because high teas are always popular! Tea Lab is for sure one of the most popular places in Rotterdam for a high tea. They thank their popularity to the variety in dishes and the different choices in high teas. And probably their delicious homemade red velvet cake ;). You can enjoy a normal high tea, but also a vegan high tea, a brunch high tea and a gluten free high tea. The Euromast takes your high tea the the next level: having tea high in the sky! At 100 meters up you can enjoy your cakes, chocolate, sandwiches and tea while overlooking our beautiful city. Make sure you ask for a seat at the window for the best view! Do you prefer wine? The Euromast also offers a high wine! 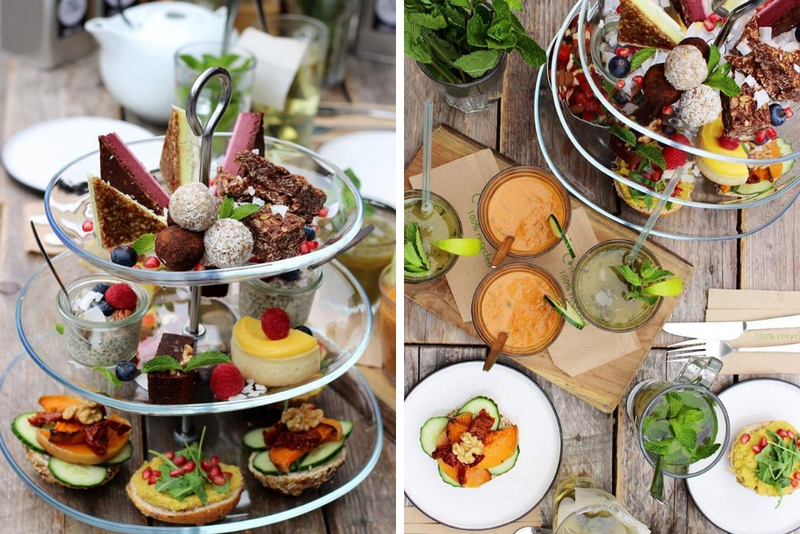 This gluten free, dairy free, sugar free & vegetarian (or vegan on request) high tea at Baker & Moore is perfect for anyone looking for some sweet, but healthy treats. They serve their own made slow juice, a soup, different sandwiches and pastries from Rose & Vanilla and Sue. Yoghurt Barn is a very cosy hotspot in the center of our city, so perfect for a lovely high tea. The High Tea includes their Yoghurt Specials, Barn Toast, bread with homemade yoghurt dips and of course all sorts of sweet delicacies, such as a delicious Red Velvet Cake, Chocolate Caramel Shortbread and their Barn Brownie. So good! What is more perfect on a cold, winter day in Rotterdam than a warm hot chocolate? 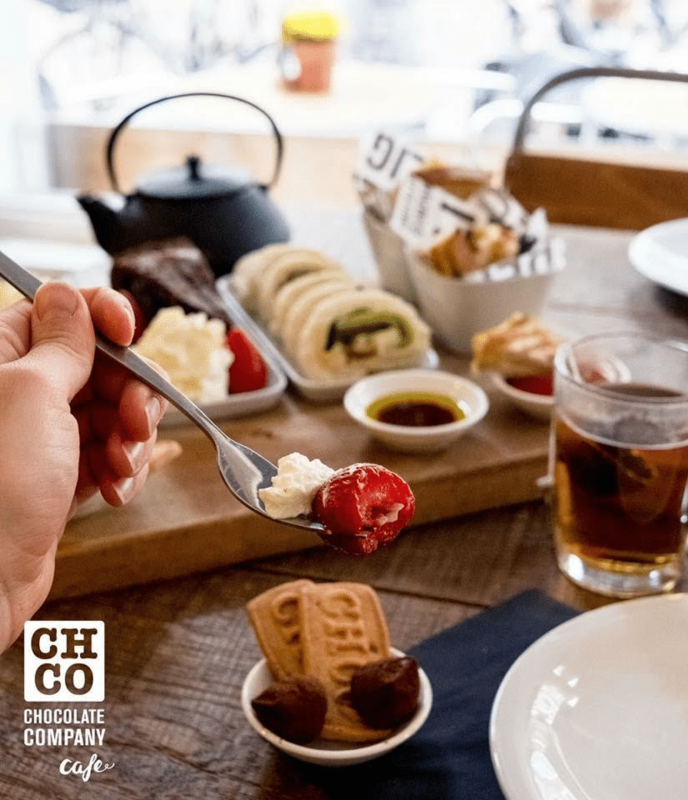 At CHCO Café Rotterdam you can warm up with either a delicious high tea or a high choc. With the High Tea you can expect lots of chocolates, a piece of Killer Brownie and cheesecake of Blondie. But also truffles, cookies, strawberries with whipped cream and toasties with cheese and ketchup. And let’s not forget delicious tea! The high choc comes with chocolate milk, with or without whipped cream and a chocolate fondue to dip your strawberries and cookies. 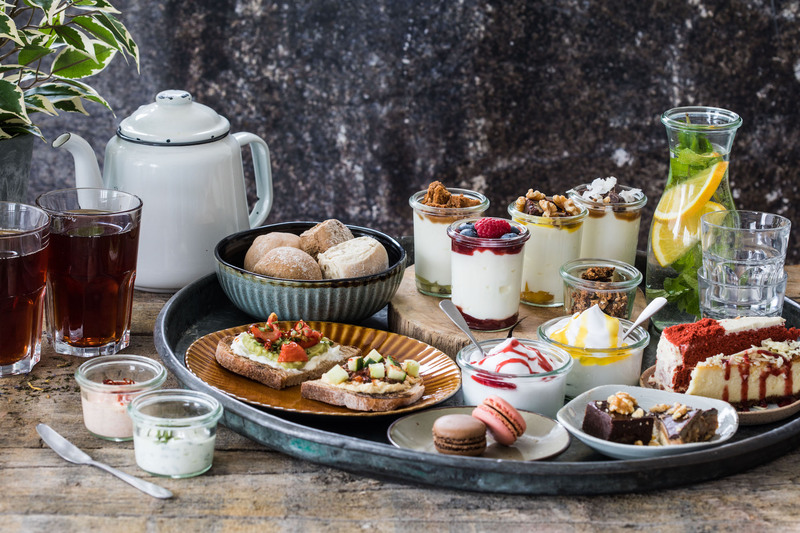 Mini sandwiches, scones, quiches, two pieces of cake, jam, lemon curt, lemon bar, waffles and more; that are some of the deliciousness they serve when you visit Dudok in het Park for their high tea. Their teas come straight from the famous teahouse Betjeman and Barton from Paris. They also serve a special high tea for children, which is smaller in size. All the ingredients for a fun and delicious, perhaps even sunny, afternoon! If it happens to be sunny, enjoy their high tea on their outdoor patio! Dudok also has a location on the Meent, which is also a perfect place for a high tea. They serve the exact same high tea as Dudok in het Park! If you value a good location then Hotel New York is the place for you. Located near the Erasmus Bridge you find yourself in an upcoming area with new restaurants and places to sit and enjoy the skyline of Rotterdam. 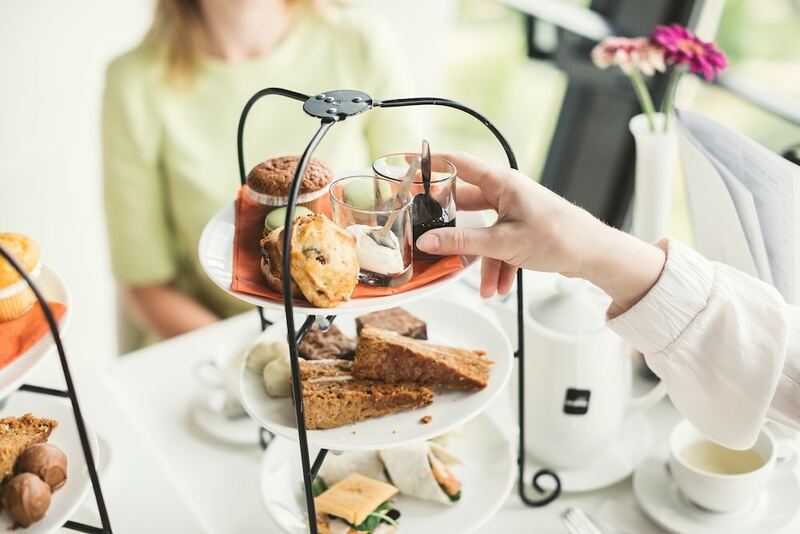 Their Afternoon Tea offers everything you expect from one: scones with clotted cream, cakes, sandwiches and of course tea. Coffeelicious is another perfect location for a high tea. When the sun is out you can even sit in their garden and enjoy their food. Besides the scones and sandwiches, they offer a wide range of their own homemade cakes. 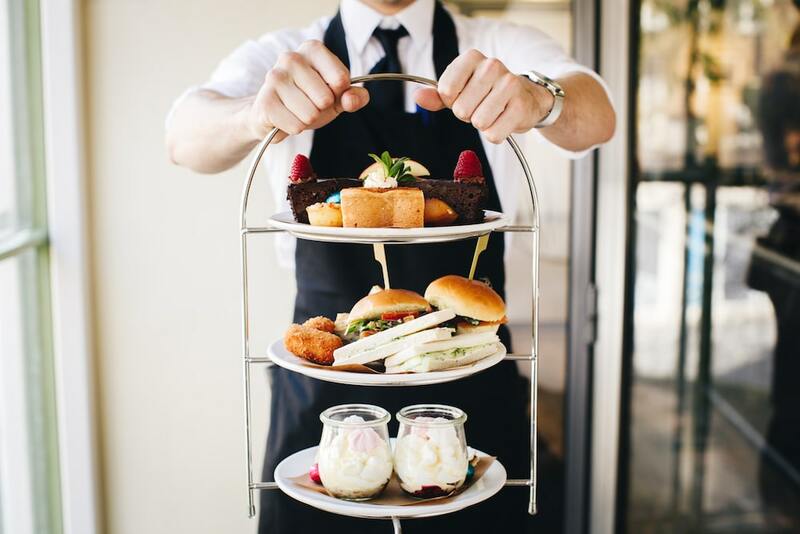 Furthermore, next to their standard high tea you can order a gluten free high tea, vegan high tea and they are mostly known for their celebration- and baby shower high tea! This place is everything you can imagine a tea room to be like. Pink and cosy furniture and the cutest cupcakes. It’s the perfect spot for you and your friends to enjoy tea and all the sweets you may desire. 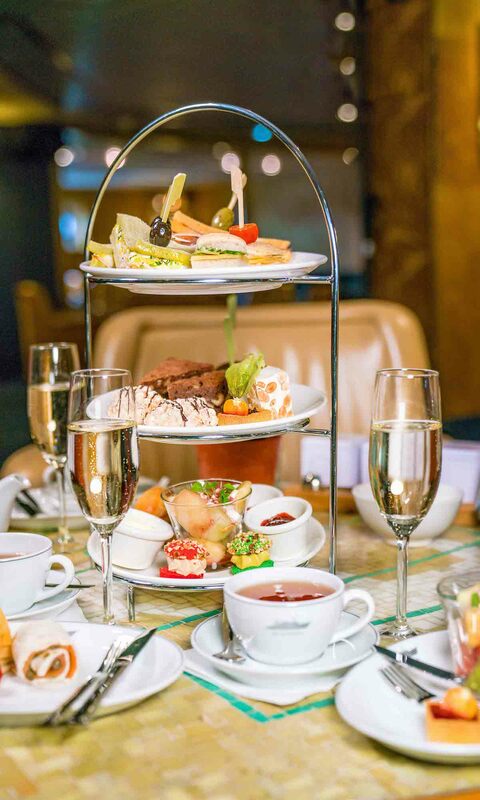 Depending on your sweet cravings, you can choose between three type of high teas. Summer, Original and Royal. Ten to three bakery is also perfect for a quick stop and to enjoy just one of the many cupcakes they make. 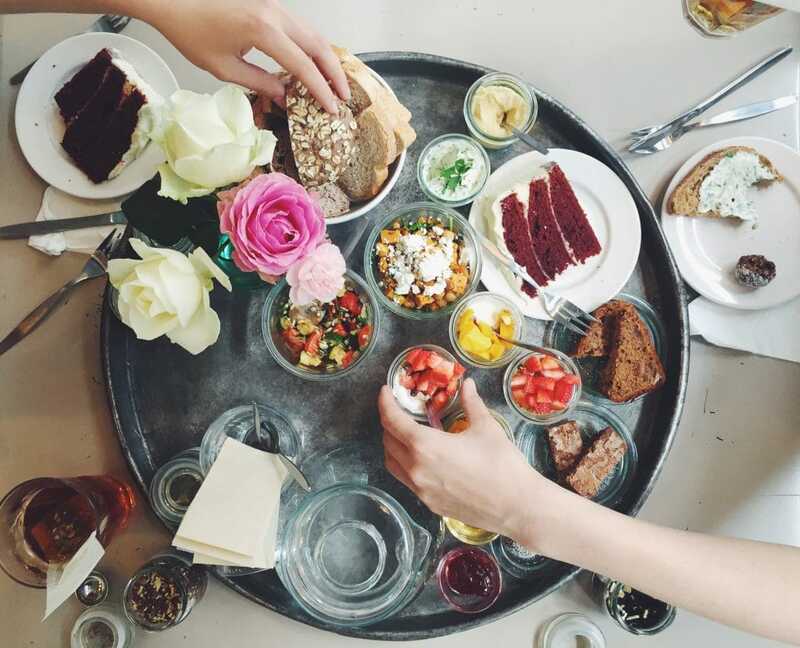 That were the 10 best places for a high tea in Rotterdam! Do you think we missed a fantastic place for a high tea in Rotterdam? Let us know in the comments below and we might include it during the next update of this article.